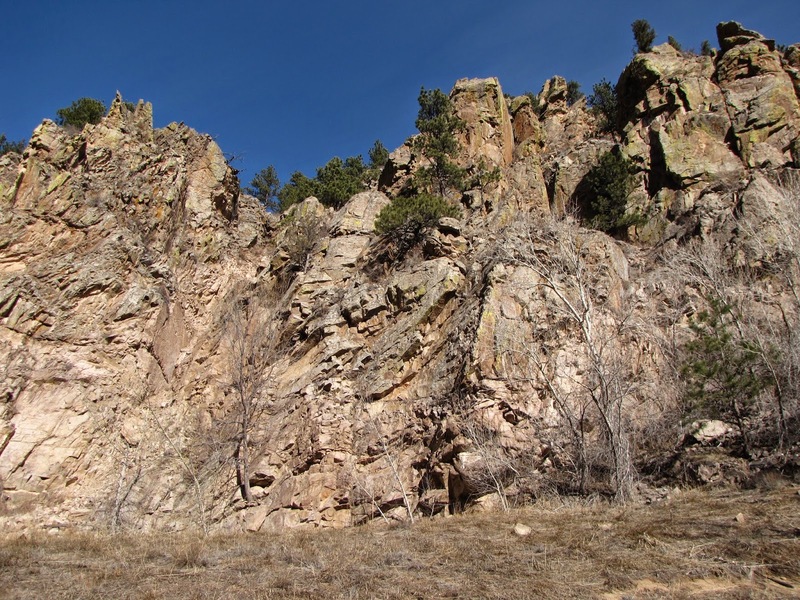 Directions: From Boulder, head north on on 36 to Lyons. 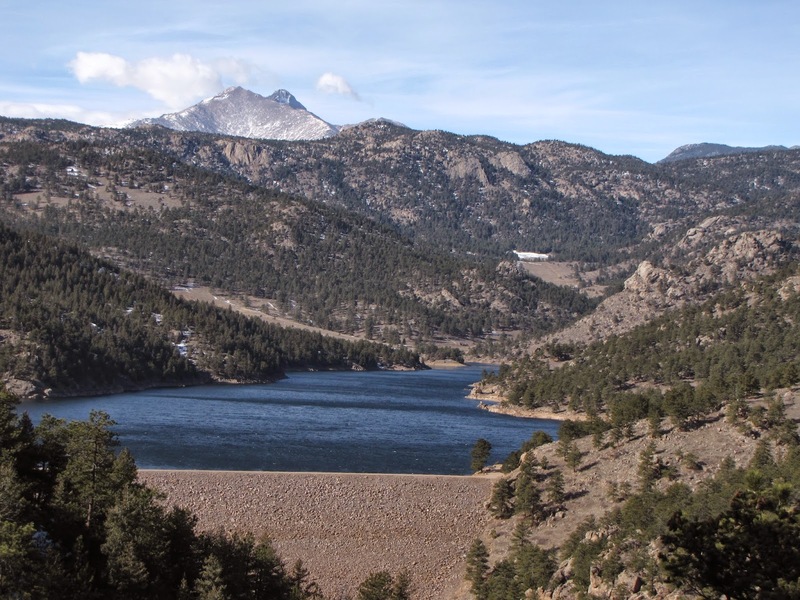 From Lyons, continue on 36 up the canyon to the Longmont Dam Road (80) on the left. 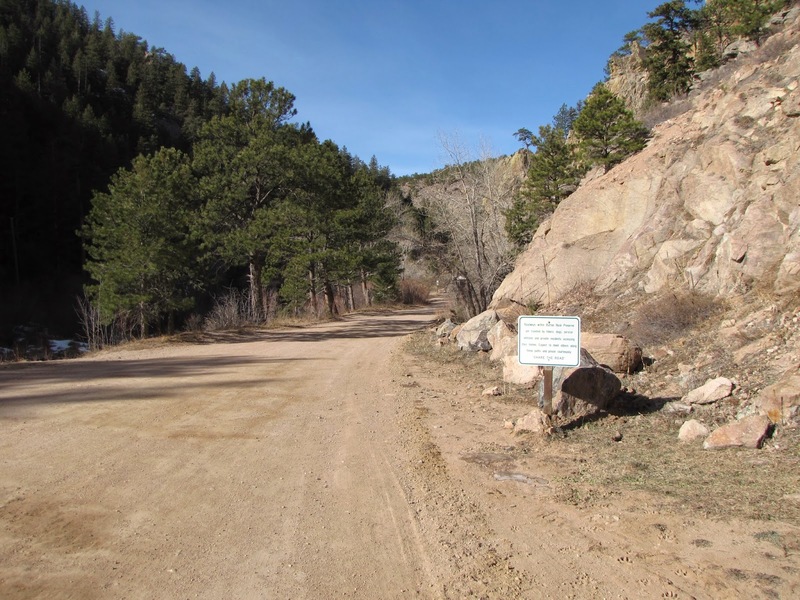 Follow Longmont Dam Rd to the Preserve, there is a small parking area near the gate. PER THE LONGMONT WEBSITE, THE PRESERVE IS CLOSED UNTIL FURTHER NOTICE AS THE ACCESS ROAD WAS DESTROYED BY THE 2013 FLOODS. CHEK THE CITY'S WEBSITE FOR UPDATES. 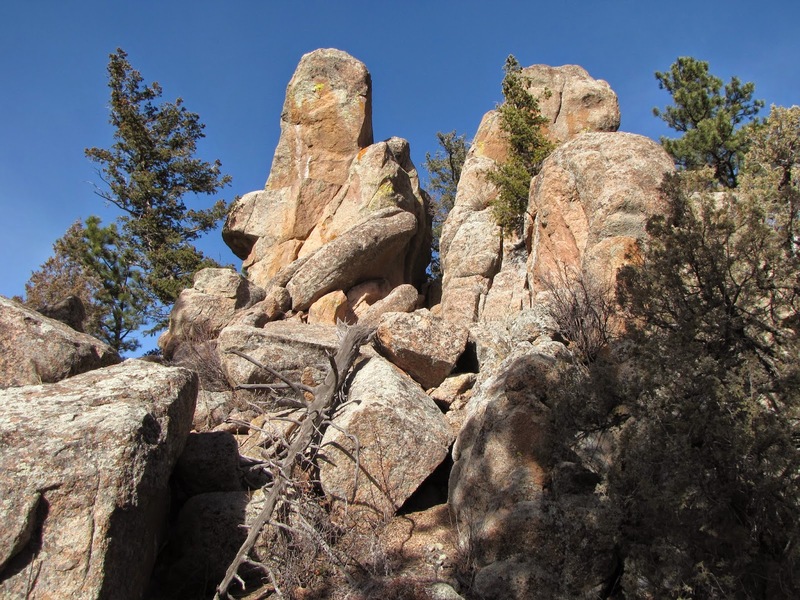 Button Rock Preserve, is a fantastic open space park just west of Lyons. 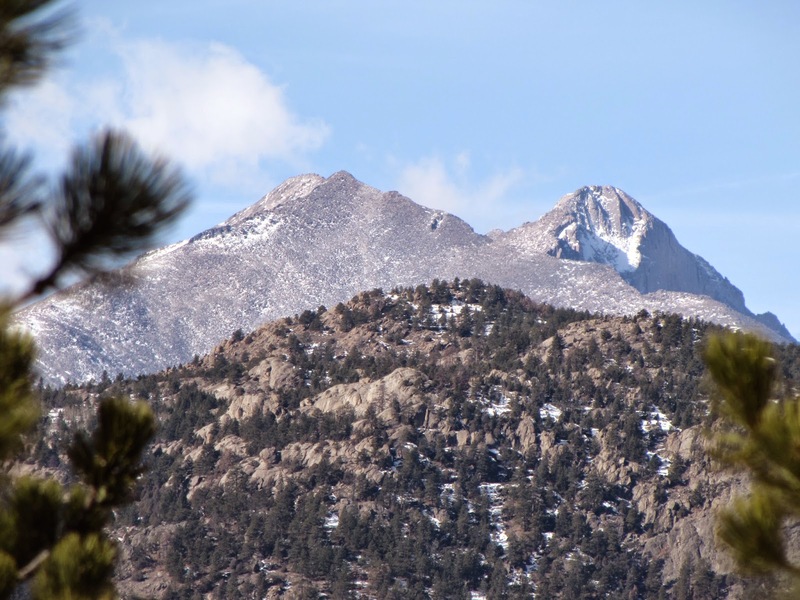 The Preserve does not see as many visitors as nearby parks such as Heil Valley Ranch or Hall Ranch. 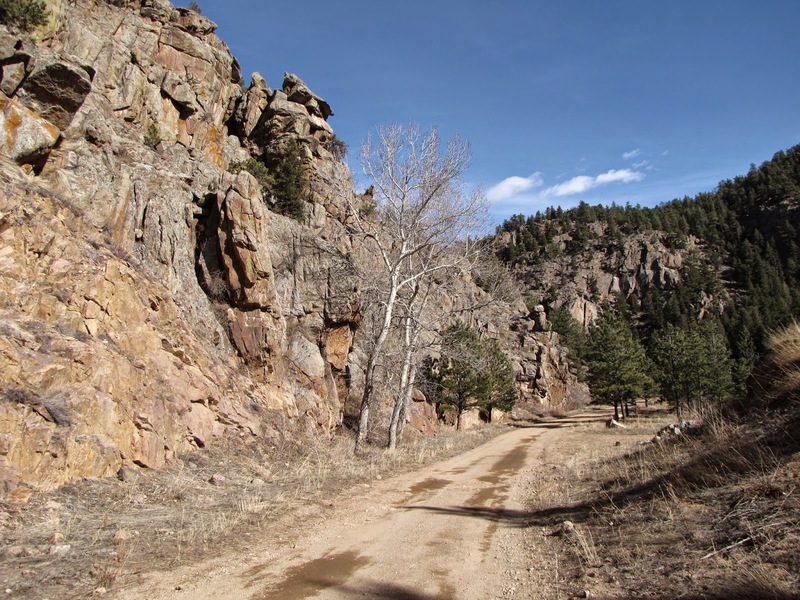 The trail starts at the gate on Longmont Dam road and for the 1st .5 mile you follow the dirt road along the creek and towering cliff walls. 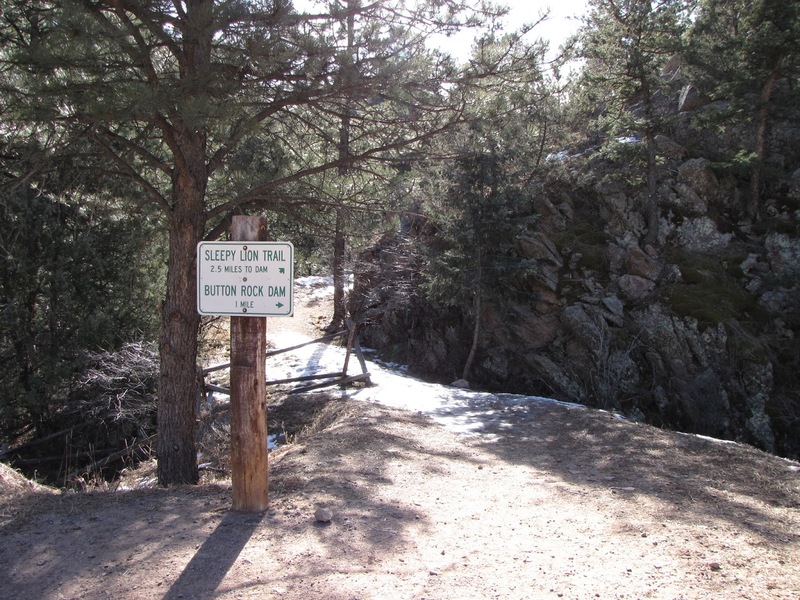 When you get to the trail junction with the Sleepy Lion Trail it is 2.5 miles of ups and downs until you reach Button Rock Reservoir. 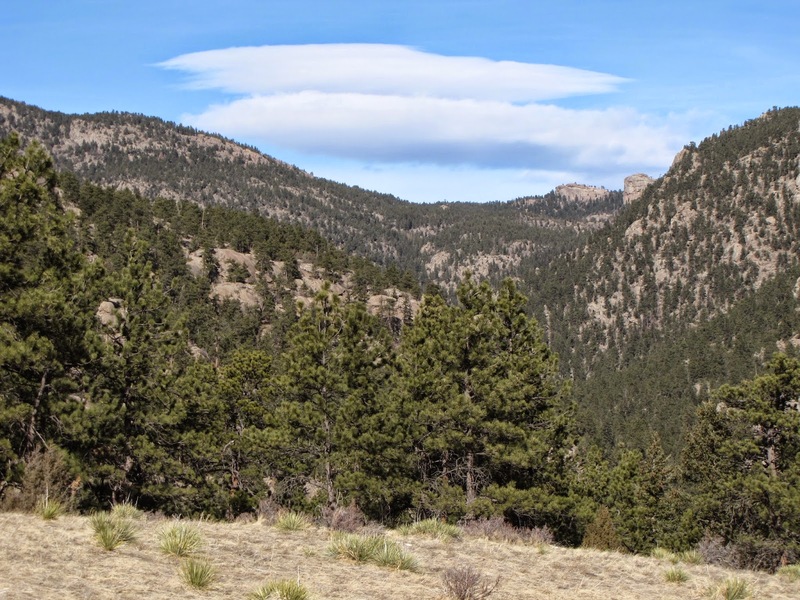 The trail weaves through aspen and evergreen forest with the occasional meadow until you reach a high point with a great view of Button Rock Dam and Longs & Meeker Peaks beyond. 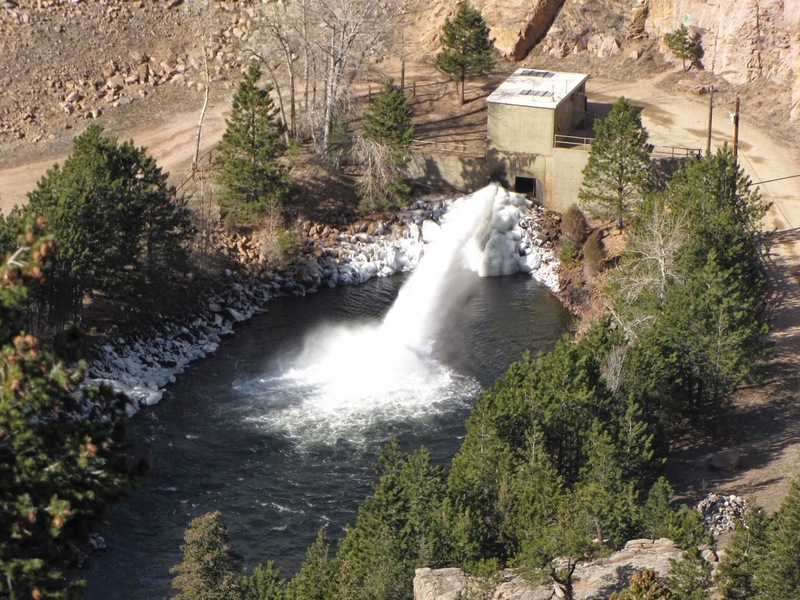 From here you head back down and eventually are deposited at the foot of Button Rock Dam. 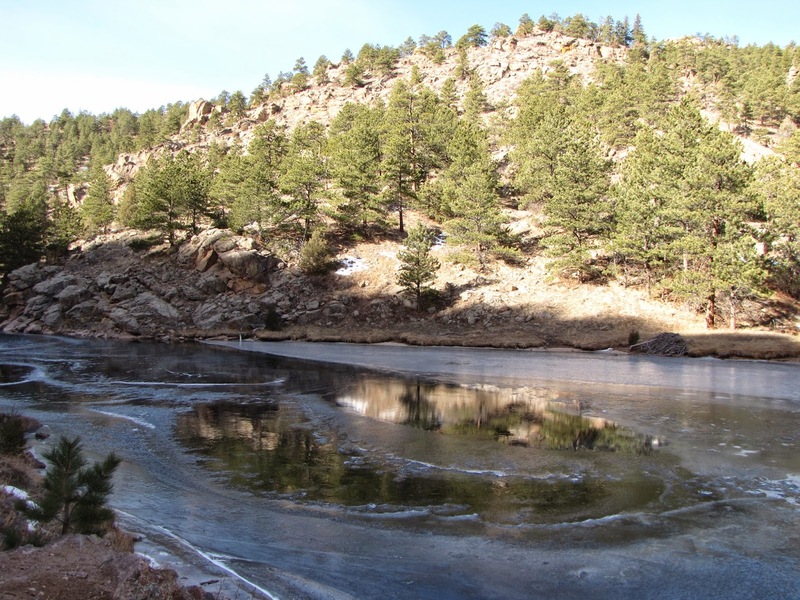 There is a short trail that you can take that leads up to the reservoir. 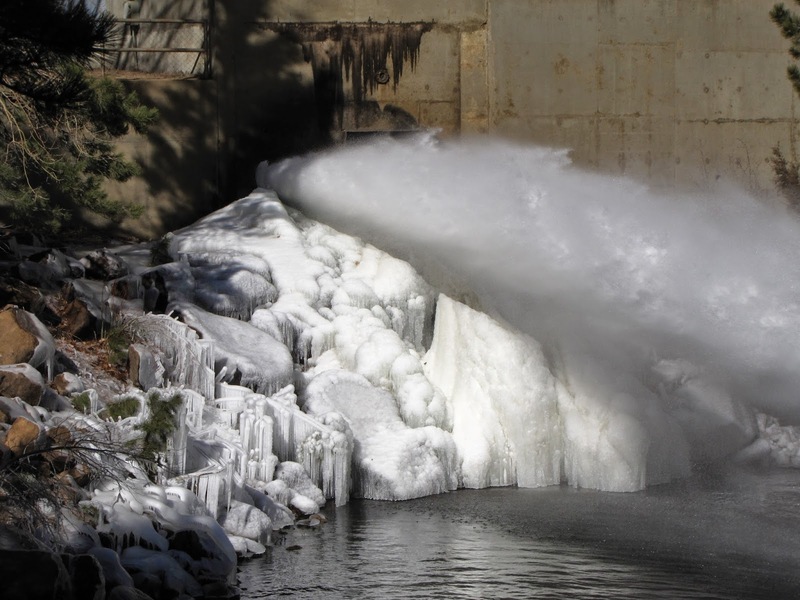 The way back follows Longmont Dam Road back to the entrance gate. Directions: Take I-25 North to I-76. Take I-76 to U.S. 85 and take U.S. 85 North to Henderson Road. Turn west on Henderson Road and go one mile to the entrance of the park. 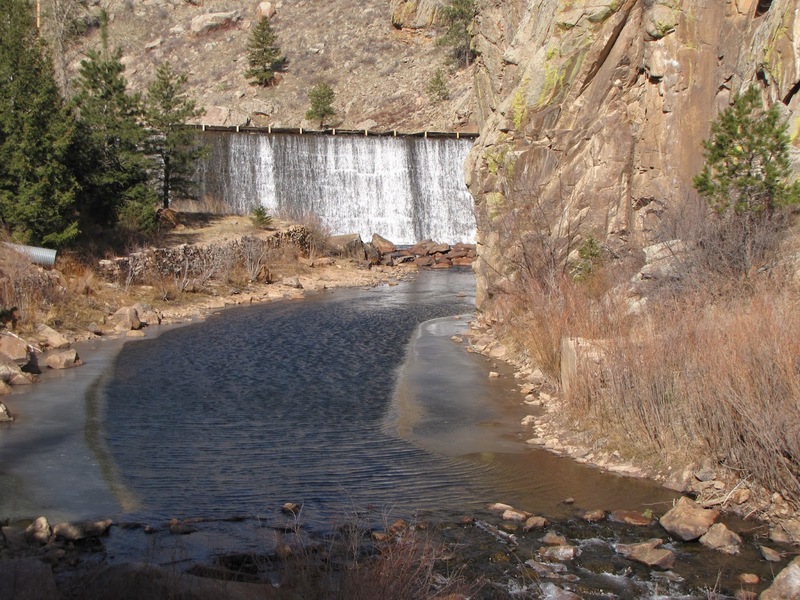 Adams County Regional Park contains a nice natural area as a component of the park that parallels the South Platte River. 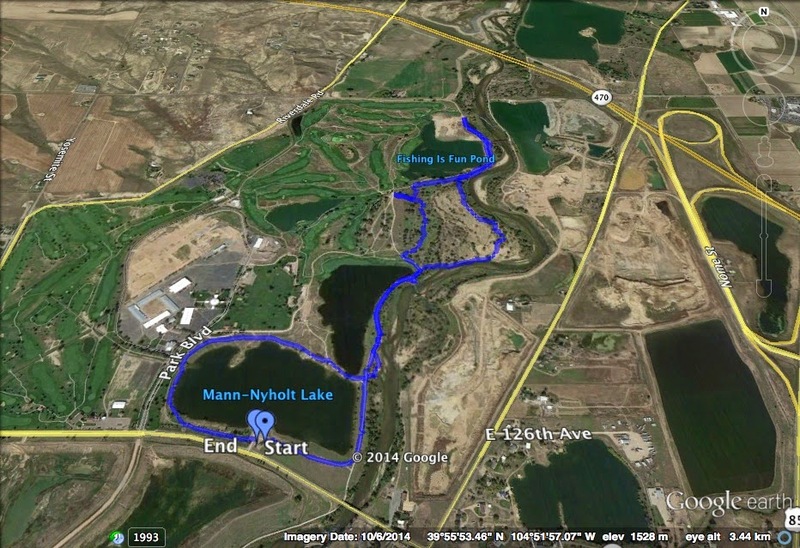 Starting from Henderson Road, the trail loops around Mann-Nyholt Lake along a paved trail. At the northeast corner of the lake the paved trail heads north along the east shore of the park’s second lake. 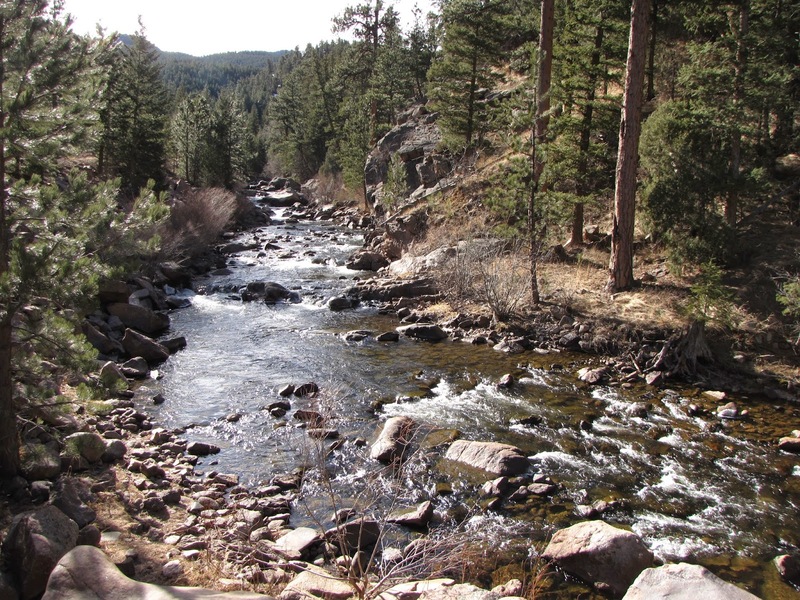 After a short time the trail joins an oxbow of the S. Platte River. 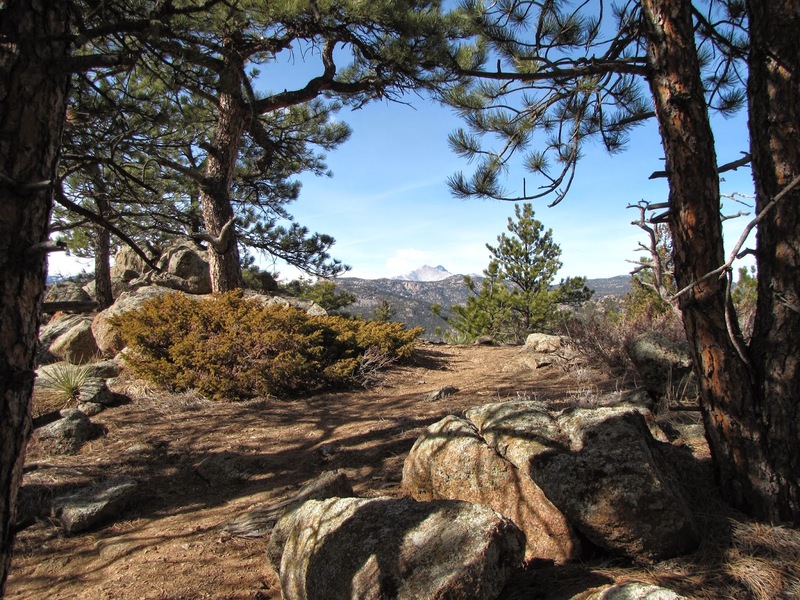 At this point the trail enters the nature preserve area and your walk in the park starts to feel more like a hike. The hike through the preserve has a nice blend of wooded areas and riparian habitat along the river. At the far end of the preserve, cross a small footbridge and the paved Platte Trail will come into view. 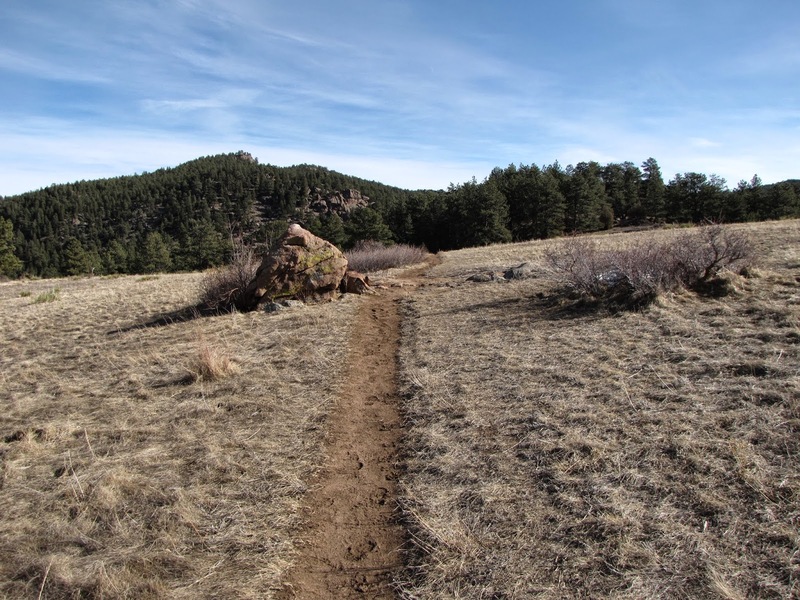 The natural surface trail will parallel the paved trail for a little ways here, but if you don't want to explore more of the platte, turn left on the natural surface trail and reenter the preserve at the western end. Once through the preserve head back on the paved trails and this time cross a bridge to complete the lake loop and return to the parking area. 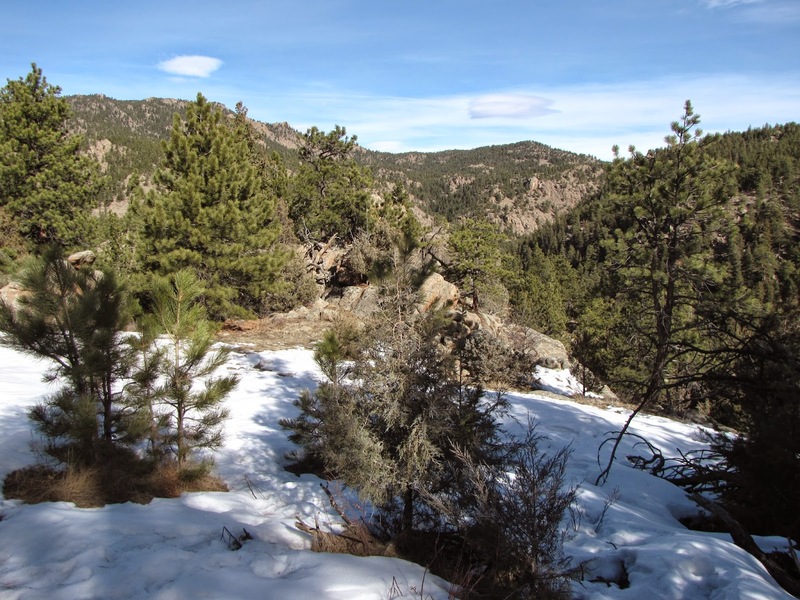 This park has a nice mix of activities, the walking and the nature preserve provide a nice easy hike and there are tremendous views of Front Range mountains for much of the hike. 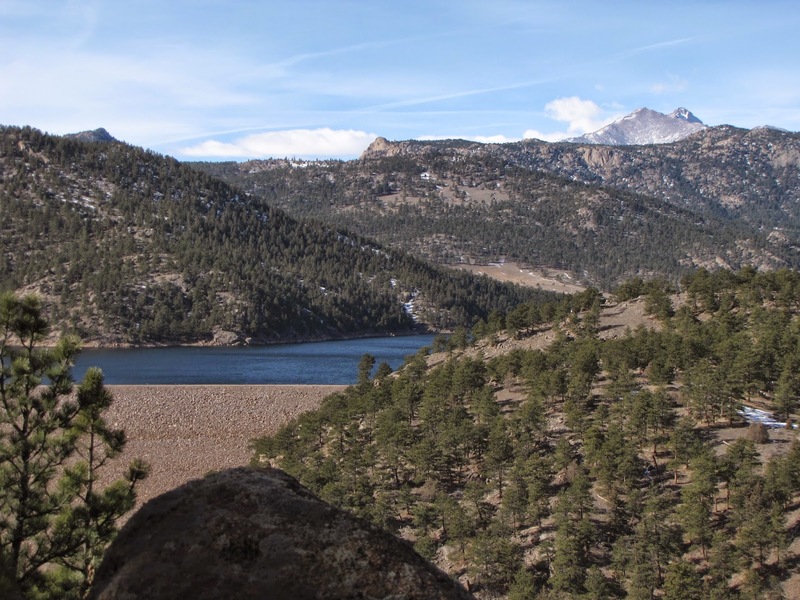 The lake are scenic and there are number of other facilities to compliment your hiking experience. Directions: From Alameda and C470, follow Alameda east to Green Mountain. Turn right (south) on Utah Ave and left on Montana Drive. The small trailhead will be on your right. Ravines Open Space is a small ravine that flows down from Green Mountain and ends at Jewell Ave. From the trailhead the trail descends down each side of the ravine and back up again. The trail can also be reached from Jewell Ave but there is no parking on Jewell. The ravine is picturesque with cottonwood trees following the small trickle of a creek. 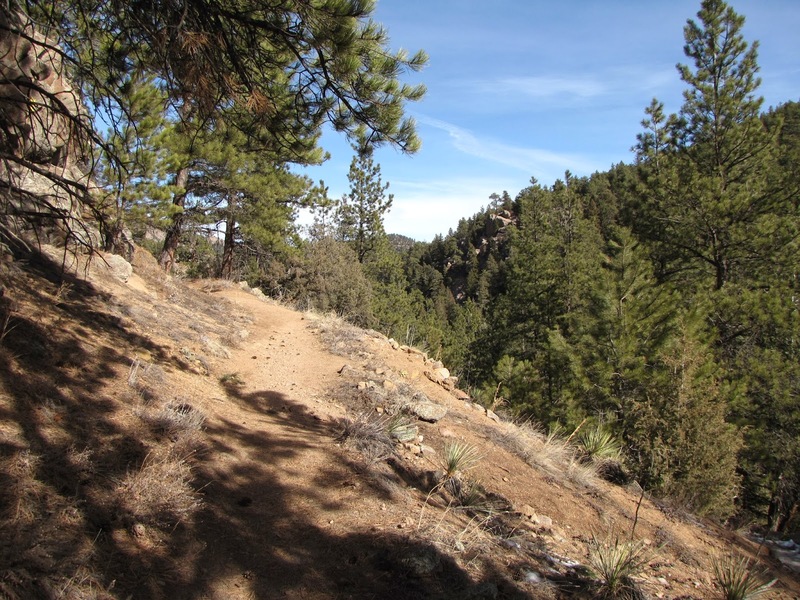 The north side trail is hilly with a footbridge or two to cross making the hike more interesting then a simple walk. Small but interesting, this open space park is purely for locals, don't expect much company besides a few people walking their dogs.